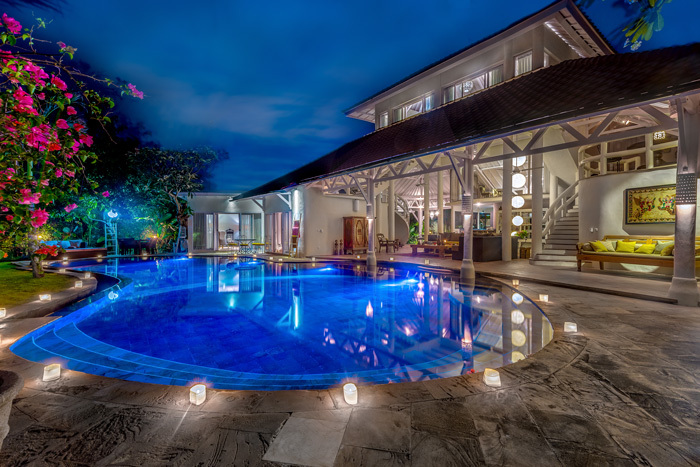 Spectacular villa of 4 bedrooms for sale in Kerobokan area. Built on 1050 square meters of land, the house has the unique style with jungle view from the stunning free-form swimming pool. Entering the villa, a path sided by the fish pond leads you to the living area along with the kitchen and dining corner. From the open space living area, a rustic path leads down to the wooden bungalow which comes with its en suite semi-open bathroom. The beautiful swimming pool gives view to the river & tropical plantations. The three other bedrooms are located upstairs. All bedrooms are airconditioned and come with the en suite bathrooms. The property is for sale furnished. 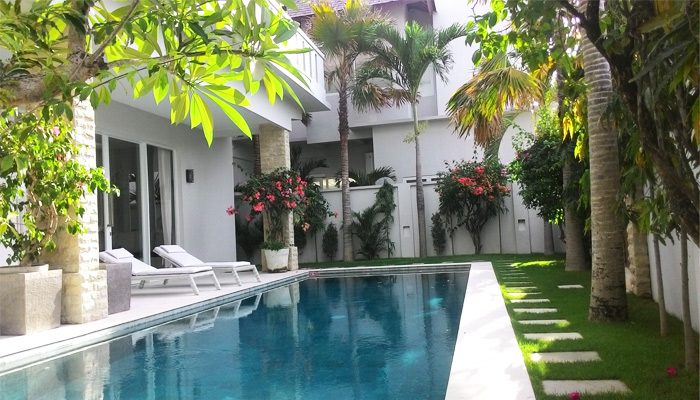 Seminyak is in 5 minutes drive while the beach is only 10 minutes away. 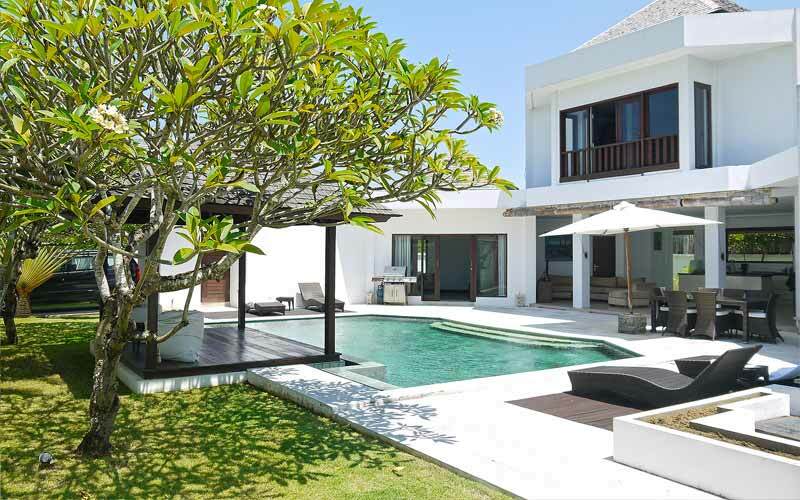 Get this villa now for your investment in Bali.